does it mean? Fully horizontally placed battens reduce drag, and free up flow, while tried and true outlines give balance, ease, and control. 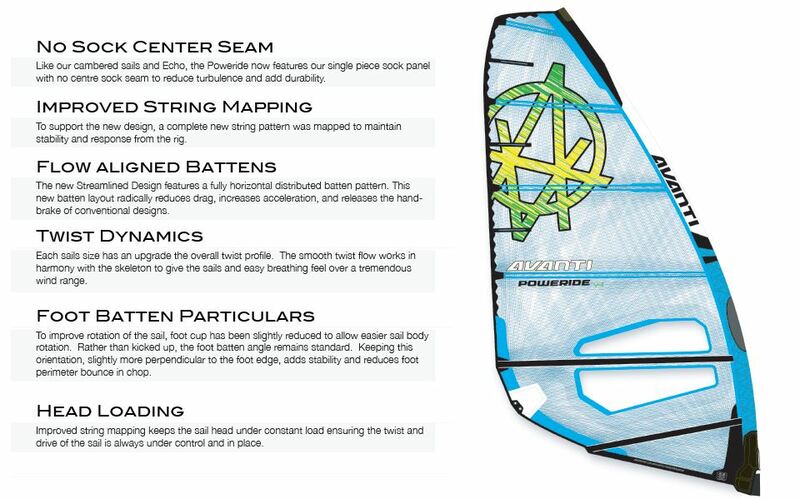 Design sails to excel on a wide array of board types from easy freeride to slalom. Adjust sail shape to increase top and bottom range, while adding to forward drive. Keep rotation soft without sacrificing overall depth. Reduce batten pocket drag to yield a slippery sail with early attachment and planing. super excited to introduce the V1. Full details and photos will shortly be available in our main sail section. Please contact your local distributor or shop for details.